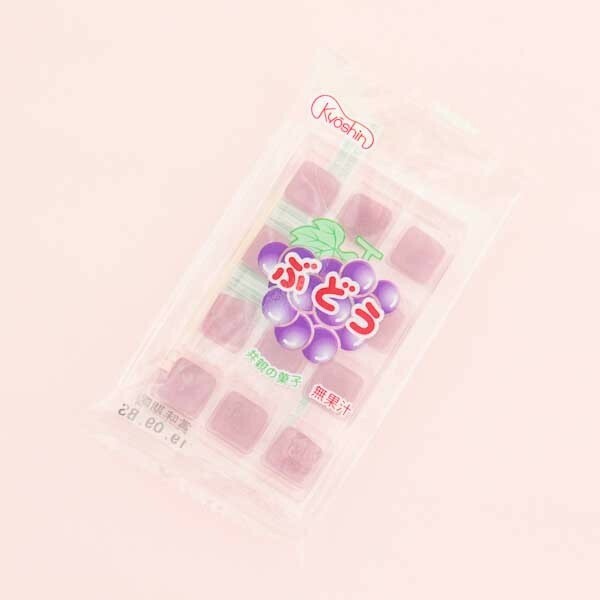 The charming packaging on this cherry candy from the Japanese manufacturer Kyoshin is just irresistible! The candy has a soft texture - similar to Mochis - so if you are Mochi lover, this one is a must-try for you! The fruity grape flavor is so good it makes your mouth water! 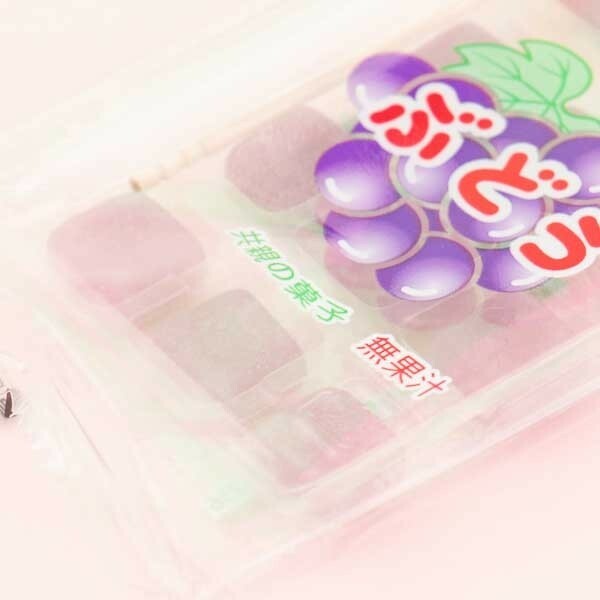 Each package comes with a toothpick so that it is easier to pick these mini Mochi treats up from their adorable little box and to eat them one by one. So cute and so yummy at the same time!